Our popular wooden yarn ball gauge is now available in hand-dyed colors! 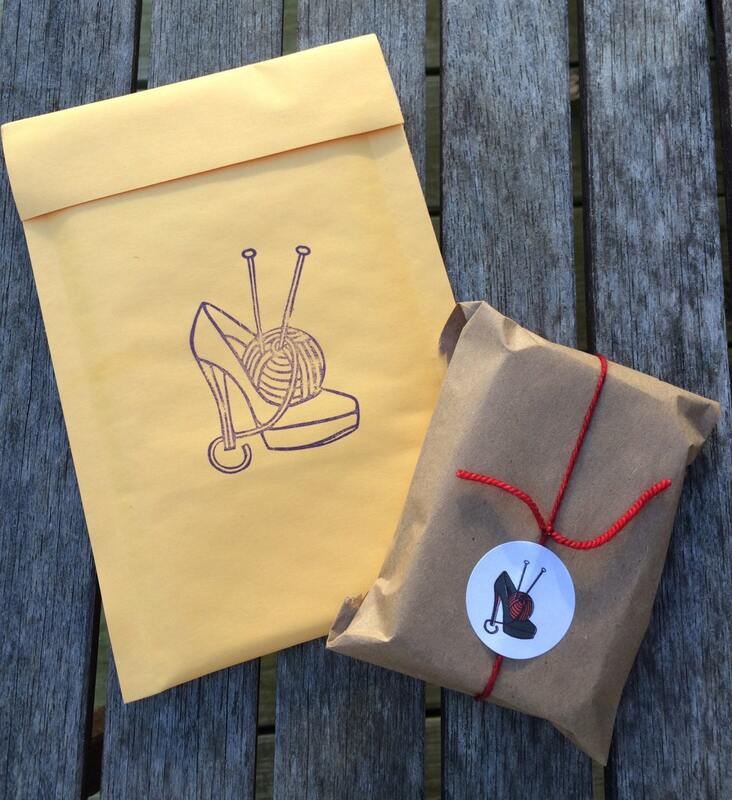 This listing is for the KNIT option: Has holes for US sizes 1-11, and also includes UK sizes. 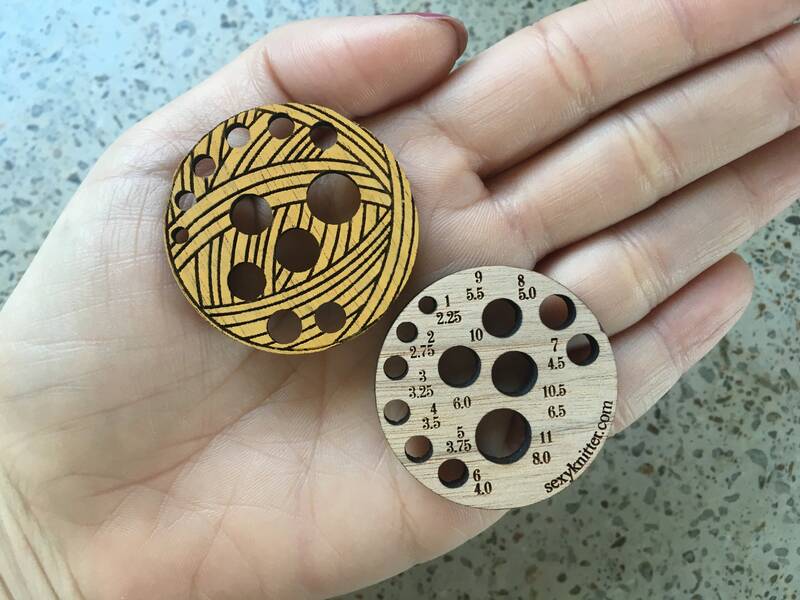 For the crochet listing, please visit: https://www.sexyknitter.com/listing/680758813/hand-dyed-crochet-gauge-for-hooks-wooden. Please note, due to the nature of the dye process, occasionally a tiny splash of color does make its way onto the back of the gauge. We consider this a part of the charm of handmade items, and should not be considered a defect. You'll still be able to read all of the info on the back, even if dye is present. This listing is for ONE needle gauge - multiple gauges, as well as front and back of the gauge, are shown in the photos. Needle gauge measures 1.5" x 1.5" and fits inside both our Knitter's Notions Jars and Knitter's Tool Tins. Custom made just for my shop - you won't see this anywhere else!